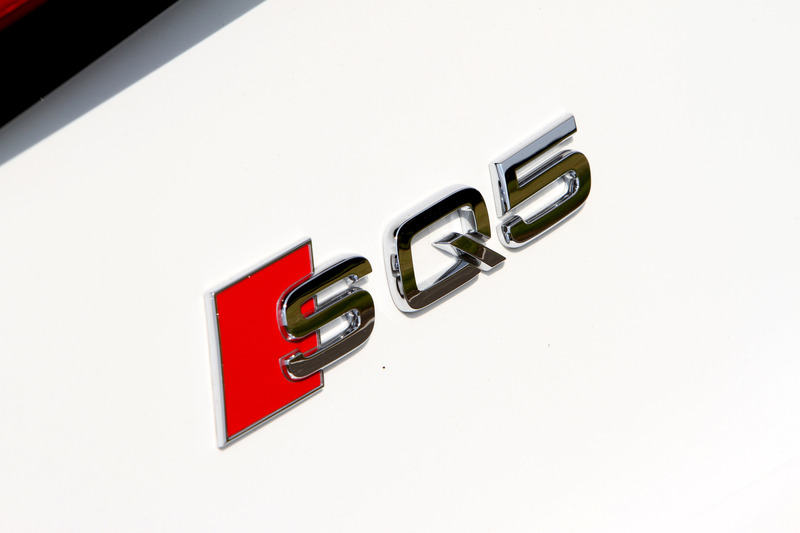 Following BMW's lead with its M-Diesel models, the car constructors of Audi from Ingolstadt have now also released the SQ5 into the market – a particularly strong diesel monster. The top diesel variation of the SQ5 thus operates with an impressive 313 horse power bearing a massive torque of 650 Nm on its drive shafts. 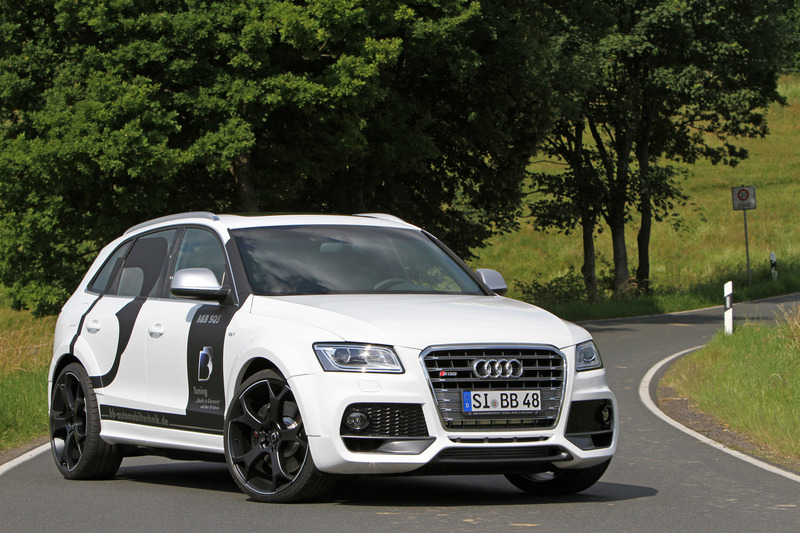 The dynamic SUV is thus able to sprint from 0 to 100 km/h in just slightly more than five seconds and attains an electronically regulated maximum speed of 250 km/h. 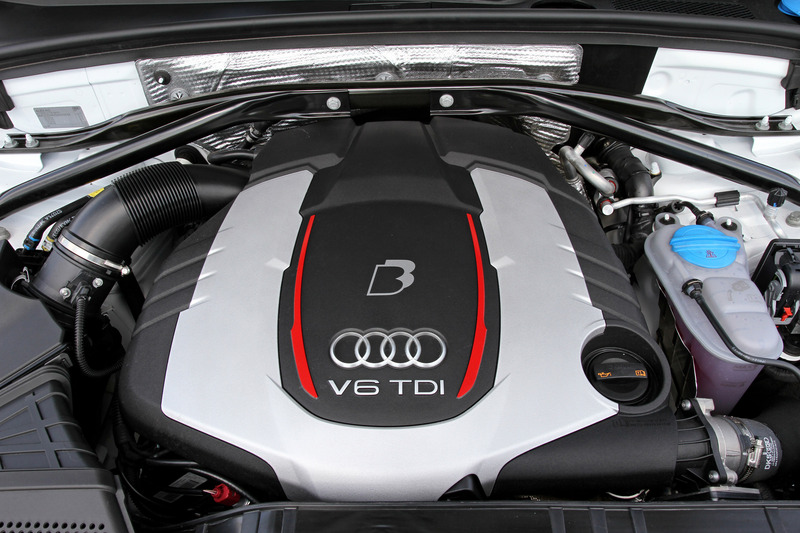 At B&B Automobiltechnik, it was known immediately that the 3.0 liter bi-turbo diesel engine clearly has a potential for more power and the company thus developed tailor-made performance levels for the sportive self-igniting engine. 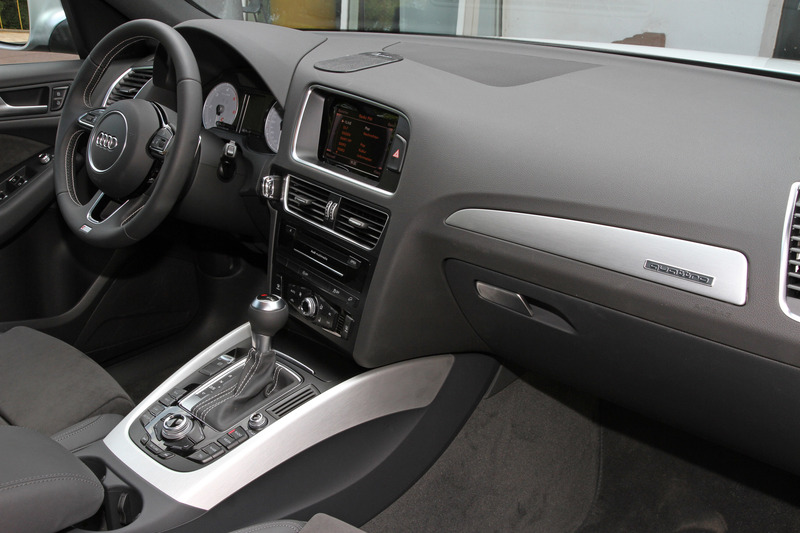 With the B&B level 1K (Comfort), the power grows to 340 horse power and the maximum torque to 720 Nm. The added performance is attained through a slight boost in charging air pressure and a reprogramming of the engine characteristic maps. 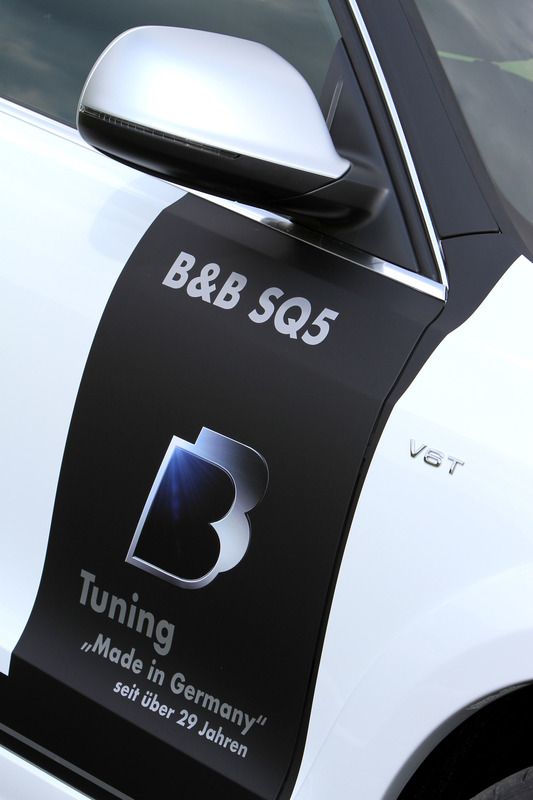 The B&B level 1 "Sport" provides 365 horse power and a maximum torque of 750 Nm. The engine characteristic maps were optimized in this case, the charging air pressure slightly boosted and the electronics adapted. The top performance level produces a terrific 400 diesel horse power and a maximum torque of 800 Nm. This conversion costs approximately EUR 4,950.00 and contains B&B special injection elements, optimized suction lines, air ducts and charging air cooling system. 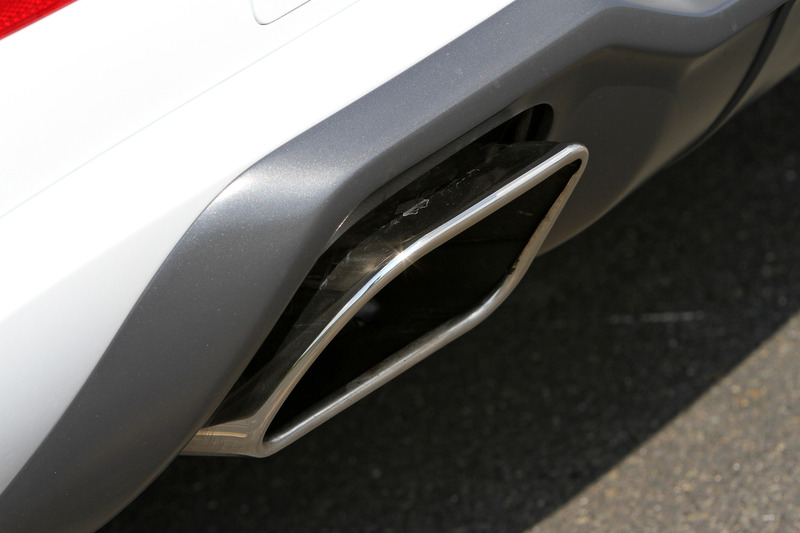 Moreover, the electronics were adapted to the added massive capacity, the injection parameters modified and the charging air pressure increased by approximately 0.25 bar. 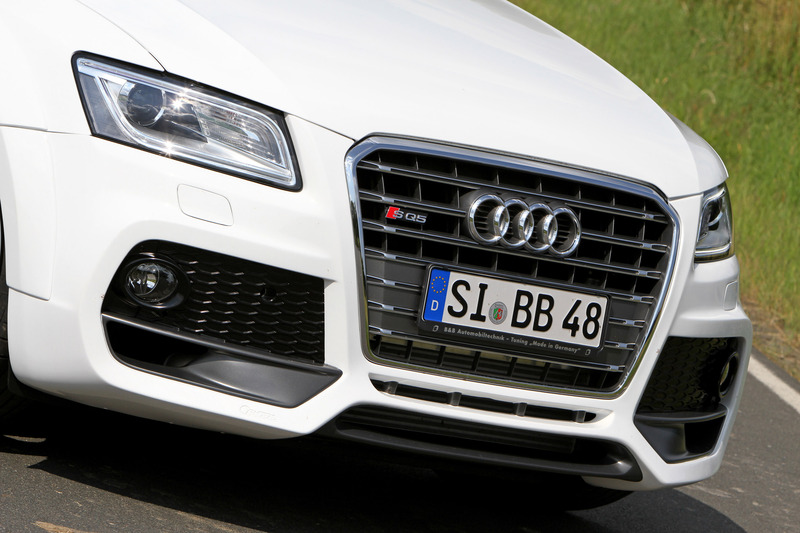 In addition to performance boosting, B&B henceforth also offers a complete aerodynamic package for Audi SQ5. This comprises a new front fender skirt with big air inlets, a set of mud guard extensions and a complete rear fender skirt. 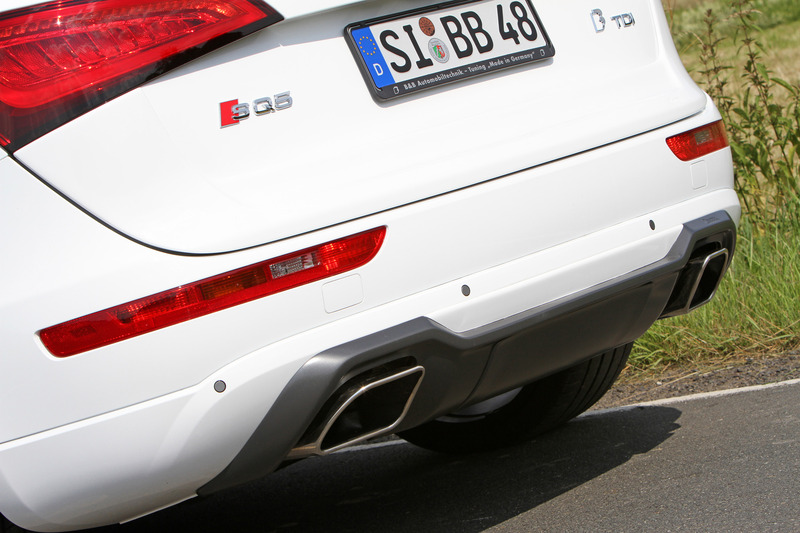 B&B sport end-pipes blowing robust sound into the environment are also integrated in the rear section. For a perfect contact with the asphalt surface, B&B mounted its gorgeous B10 wheel with 22-inches diameter and Michelin tyres in 265/30R22 all-round. This wheel/tyre combination is combined with a set of suspension springs which lowers the chassis of the B&B-SQ5 by almost thirty millimetres. 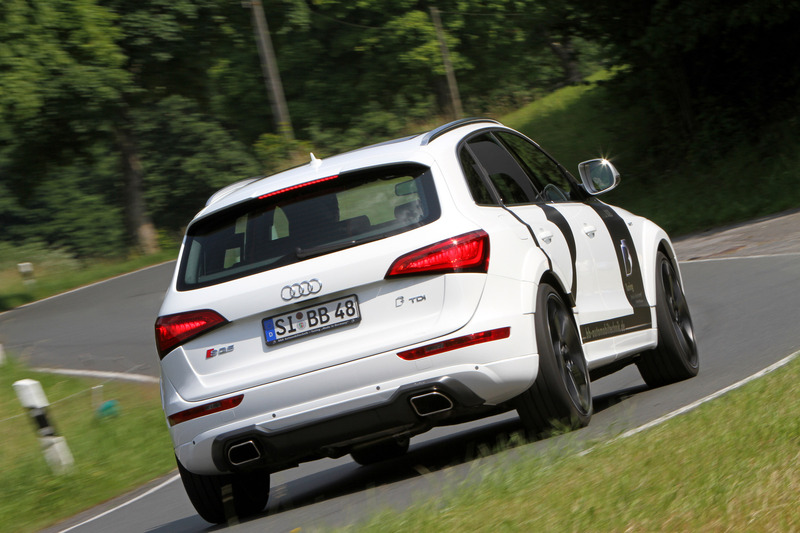 Conclusion: The B&B-Audi SQ5 is a real steam hammer and a self-ignition icon. 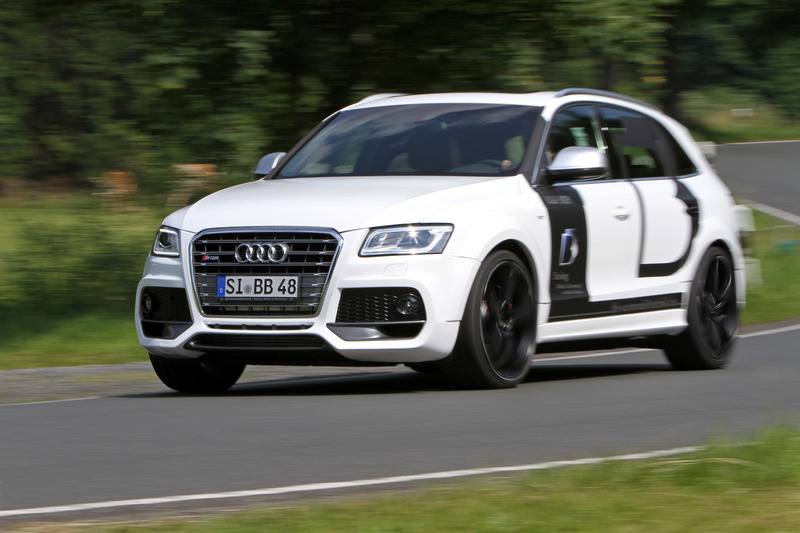 The SUV from Ingolstadt dashes forward like there will be no tomorrow even infiltrating territories in which the likes of Porsche and co. should have reasons to fear serious trouble!